Georgia Tech Yellow Jackets guard Glen Rice Jr. (41) lays one in off balance as Wake Forest Demon Deacons guard C.J. 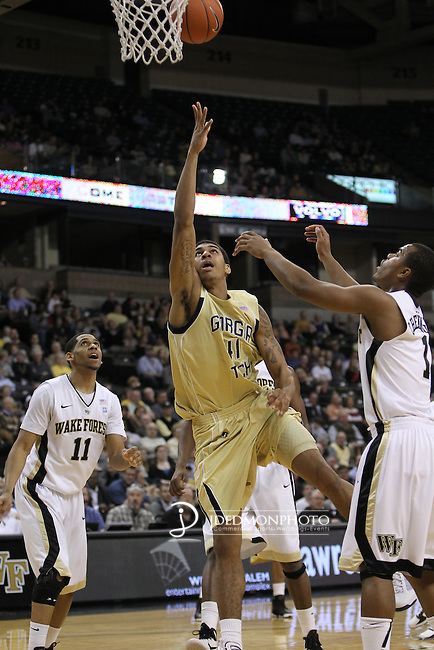 Harris (11) and Wake Forest Demon Deacons guard Tony Chennault (1) can only watch. Georgia Tech wins 80-54.